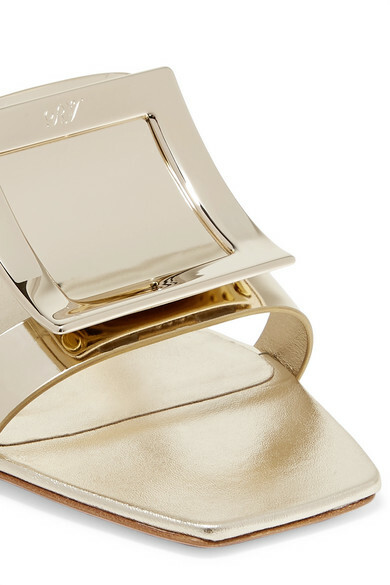 Roger Vivier's Creative Director Gherardo Felloni is an avid collector of antique jewelry, so we're not surprised to see plenty of opulent shine in the Spring '19 collection. 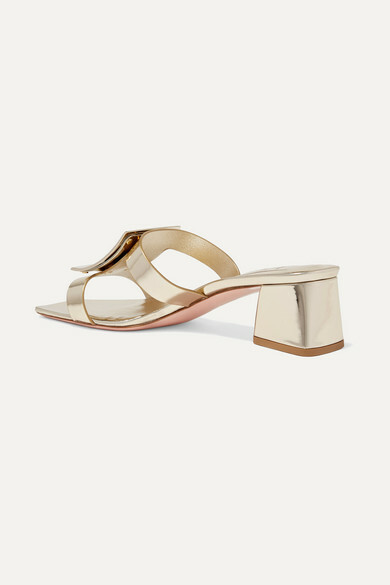 Set on flared block heels, these mules have been made in Italy from metallic leather and topped with a coordinating gold buckle at the open toe. Amp up the glamour with a red pedicure. Shown here with: CASASOLA Blazer, CASASOLA Shorts, Givenchy Top, LOW CLASSIC Shoulder bag, Jennifer Fisher Ring, Leigh Miller Earrings.